"This is an important book that builds a strong case for the value of literature, literary reading, and book culture in the school curriculum…. [It] stands as a wake-up call regarding our current screen-based culture and curricular focus on technology, science, and practical skills, arguing that they do not provide a sufficient basis for developing the full potential of children." "This very engaging and timely book has a clear, strong argument and is accessible. It engages with several questions about information consumption and will help shape public opinion." "I am in the choir already and agree with the authors on the decline of literature in our schools and lives. This book will bring heightened awareness to the field especially among English/language arts preservice and inservice providers." Martha C. Pennington is Professorial Research Associate in the Department of Linguistics, School of Oriental and African Studies, and Research Fellow in the Department of Applied Linguistics and Communication, Birkbeck College, University of London, UK. 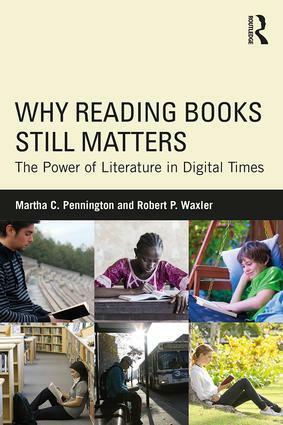 Robert P. Waxler is Professor of English at the University of Massachusetts, Dartmouth, USA, and cofounder of Changing Lives Through Literature.